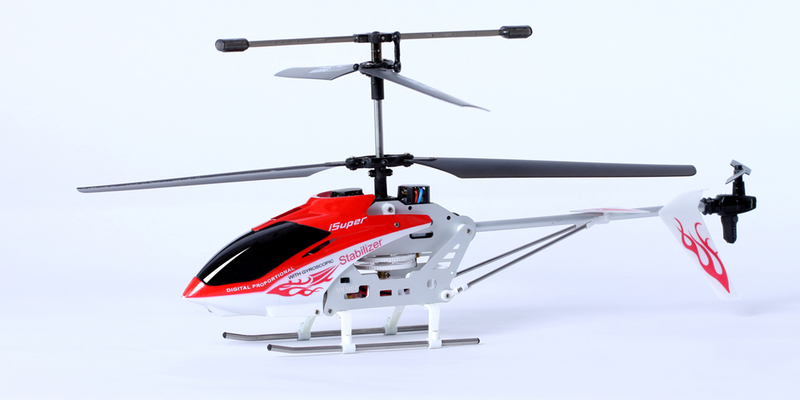 iSuper big helicopter features elegant finish, super stable flying, professional level performance. Touch and guesture based control through Smartphone or tablet gives you total command of the chopper and make the piloting more comfortable and easier. The Smartphone app is designed with fabulus features that include flying path record and playback, safe landing, emergency stop and music play function, a whole new way to play with it! Simply download the free ""iSuper Heli"" app from app store or Google Play to your iOS or Android device, pair and connect to the helicopter with Bluetooth, you are ready to lift off. Compatible with all versions of iPhone/iPod touch/iPad, Bluetooth-enabled Android phones or tablet(Samsung, Motorola, HTC,LG, Huawei...). Q. What's the steps to play this toy? A. Next is the procedure. You can also refer to user manual in retail box. 1. Search for "iSuper heli" from App store on your iPhone/iPad/iPod touch, then download and install it. 2. Turn on the helicopter. 3. Turn on Bluetooth on your Apple device (home screen:Settings:General:bluetooh). 4. On Bluetooth screen, when "iSuper Helicopter not paired" appears, touch it, the phone will start to pair with it and connect to it automatically(shows "Connected"). 5. Launch "iSuper Heli" app from home screen, when you see "Connected" on the app UI, pull up the airplane sign on the left side to lift the helicopter. For big helicopter, push up the airplane sign quickly to make it take off. 1) Tilt Apple device to change(by touching the "Tilt" button once). 2) Using the virtual joystick on the right side of the screen to change. Tilt button needs to be toggled off while using joystick to change flying directions. Also used for setting the app parameters, like accelerometer angle adjustment for the phone's tilting sensitivity while using tilting to change flying directions. Add (or remove) songs from your device's play list, and play it during flight. - Record the flying path to the smartphone or tablet and later anytime the helicopter can repeat the recorded flight pattern automatically after pressing the "Play" button. Steps: Record: touch the "Record" sign, give the path a name in the pop-up window, then start to fly the helicopter, toggle the button off when finish recording. - Play back: touch the "Play" sign, then set the path name, and click "Yes" in a pop-up window, the helicopter will fly along the path recorded. Press "Stop" button in a pop-up window whenever you want to stop the playback. - Delete the path: touch the trash can sign on app UI to delete the path you don't want. 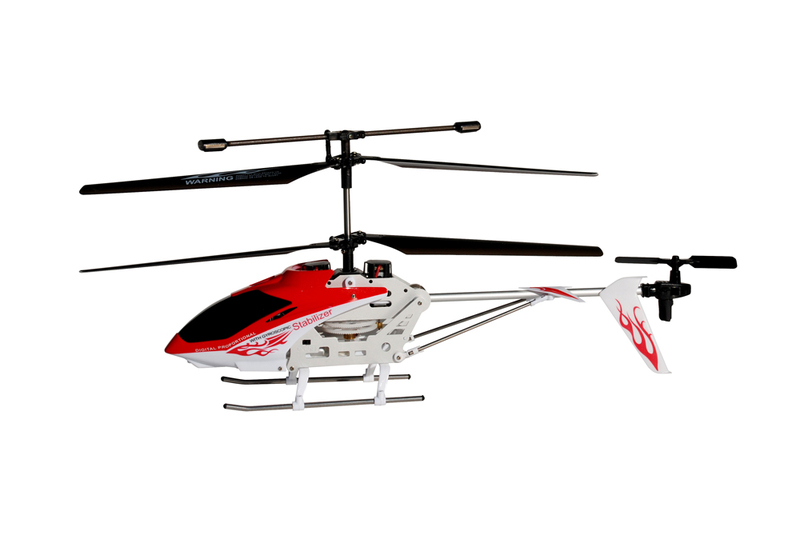 Make the helicopter auto-land slowly, not crash , also when the helicopter is out of bluetooth control range, it will do a safe landing. On emergency, it will turn off th helicopter's engine, stop the propellers immediately, helicopter does crash landing. If a helicopter always spins right after taking off within the height of 2-3 feet, please pull the slider to right a little bit, otherwise slide it to left a little bit. Slider in the middle is normal position, no spinning happens. When the helicopter does not fly (no response), it is out of battery, even though it shows "Connected" on the app UI. Please turn off the helicopter (a MUST) and use the included USB cable to connect to a computer or iPhone wall adapter to charge the helicopter. 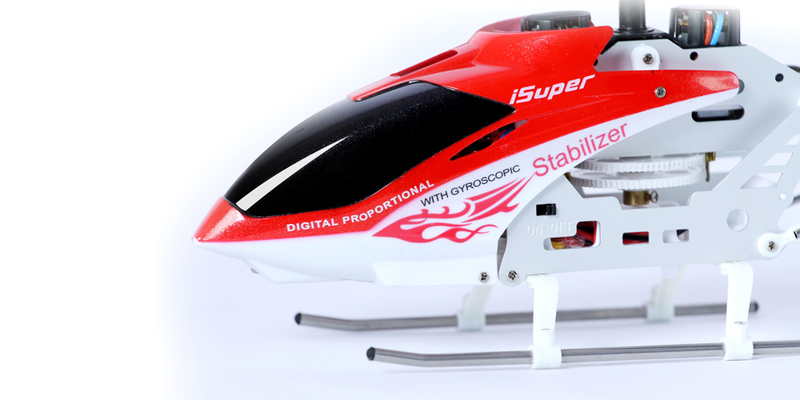 iSuper helicopter uses Bluetooth point-to-point connection feature, one helicopter can only connect to one Apple device at a time, hence multiple players are able to play their helicopters in one room at the same time and multiple helicopters can chase each other. 2. 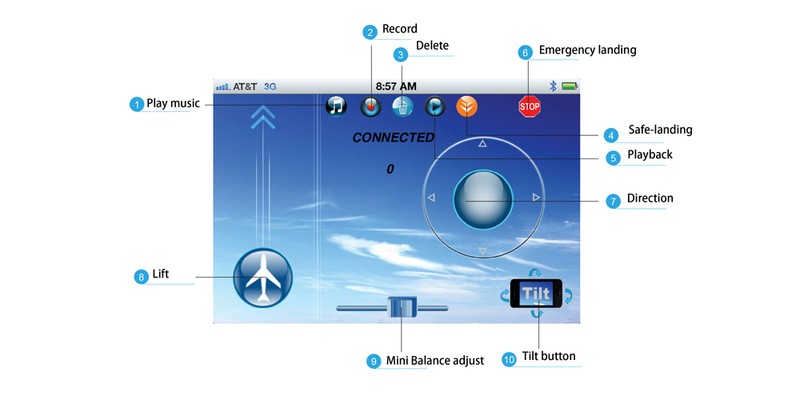 Go to home screen:Settings:General:bluetooth screen, touch the arrow next to "iSuper Helicopter not connected", it will go to "Forget this device" screen, then touch " Forget this device" and select "Forget device". 3. Turn on the other helicopter, the phone or tablet will start searching for it, when it appears on the screen, let the device pair with it and connect to it. 1. Search for "iSuper Heli" from Google Play on Android phone or tablet, then download and install it. 3. Go to Wireless & network settings : Bluetooth settings screen, tap on "Scan for devices", "iSuper Helicopter" will appear on the screen, click it, it will pair with the device and show "paired but not connected". 4. Go to main menu screen, search for "iSuper helicopter" app icon and launch it. If it does not connect after 10 seconds, please go back to the "Bluetooth settings" screen, hold the "iSuper helicopter" instance name to UNPAIR it, or unpair all "iSuper helicopter" names,"iSupert Tank" names or "iSuperCar" names that show " paired but not connected"on that screen, and re-scan for devices, follow step 3,4 to make connection. 2. Unpair the helicopter instance in "Scan for devices" section on "Bluetooth settings" screen. 3. Turn on another helicopter, scan and pair it with the helicopter. Android App and iPhone app have the same UI.